Professional installation of your project. Large upgrading projects or minor jobs. All sorts of repairs done quick. Friendly and qualified workers. Get a no-cost job quote. Flexible and convenient. Good outcomes are guaranteed. Thinking about doing some kind of home improvement job at your house or business? Or it could be you have a split, hole or seam you want to get fixed. Talk with trained and experienced ceiling and wall installers. They can also perform repairs, big or small. 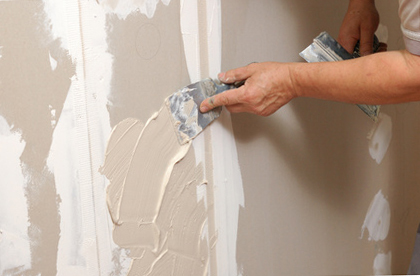 Some restoration assignments consist of installing patches and refinishing. Other times, the preferred route is to remove the bad sheetrock and put in new. They are ready to help anyone who has a building they want worked on. 1. Delivering the drywall to the job site. 2. Hanging the sheets to the ceiling or walls. 3. Cleaning up and taking away project trash and unused product. 4. Taping the seams and applying joint compound to seams and screws. After your surface areas are finished and dry, you are able to open up the paint and start painting. They could complete the entire operation, from beginning to end, or they could do just the initial few steps or the last couple of steps. For instance, if you’re interested in doing all of your own mudding and taping, they will just deliver and install it, and you may take the job from there. If you are interested in installing it by yourself, they can come out afterwards and just do the taping, mudding and finishing. If you want specialty boards for high moisture locations, or for wall surfaces that will have heavy tile attached to them, they supply and install those kinds of sheets too. They can carry out any part of the install or repair process. Sheetrock may get wrecked in a variety of ways. It does not take a lot of effort to make a hole or dent in a ceiling or wall. If your wall has a hole in it, and that hole is in an out of the way place, you may probably repair it on your own by putting on a wall patch kit. Homeowner patches don’t generally look the best. It’s hard to get the different surfaces level and the texture right so it all matches after it’s painted. While you might want to attempt to do your own patch repairs in areas that most people will never see, we suggest having someone with some experience undertake hole or dent repairs in rooms which are more accessible to other people. The final phase of the repair program is to model the finish and texture of the repaired or new work so it matches the present finishes after it’s painted. Fixing a single hole or break. Making a number of worn out or broken interior walls restored and all ready for repainting. Cutting out and exchanging water damaged sheetrock. Working on big size replacement of an entire room or even more. Regardless of whether your upcoming project is small or large, they get it done on schedule and under your budget. There might be a choice or two concerning the look and feel of your new walls or ceiling. Completely unfinished – merely taped, for non-finished work or storage rooms or garage areas. Smooth surface finish – zero texture, all ready for paint or wallpaper. Simple texture – supplies a little extra dimension. Texture match – your replacement surfaces match up with your existing ones. Does your house have a sprayed on popcorn ceiling texture that you aren’t too proud of? If you want, they will remove and replace your old popcorn ceiling surface with a better looking one. This company concentrates on home interior jobs including ceiling and wall improvements and replacements. 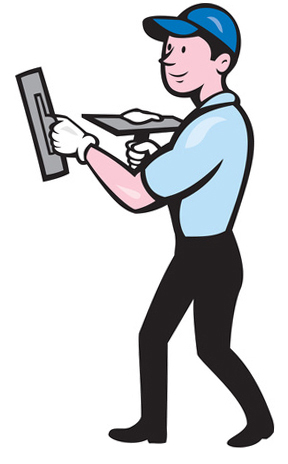 They provide honest, dependable work at a fair cost. They work with the biggest manufacturers, so the materials they install at your home will be dependable and durable. Their staff is safe, neat and respectful of your property. They attempt to shield your possessions from dust and harm. Once your job is complete, they try to clean up as well as they can and take all the rubbish. Their job assignments are varied. They work a good deal in single-family homes, but they also do a variety of commercial buildings as well. They work with local contractors, landlords and individual homeowners. They will be pleased to speak with you if you call. If you’re wondering what your job will cost, they will create a quote for you. Your price depends on the extent of tasks you want them to do for you and how sizable the project is. It usually isn’t possible to look at prospective project site and provide a quote in person, but they can generally provide a good estimate over the phone if you would give them a call. If you want to have them start the painting portion of the project, they will get rolling on it once the surfaces are finished and dry. Quite a few homeowners prefer to hire a different person to do the painting. And other homeowners want to take on the painting job themselves. Can You Work in My SoCal Neighborhood? They work in many of the communities of south Los Angeles County, including downtown Long Beach, Alamitos Beach, Willmore, Washington, East Village and the Waterfront. But they also get out to all the suburbs and outlying communities – Belmont Shore, Bixby Knolls, Eastside, Los Altos, Lakewood, North Long Beach, Rossmoor, Signal Hill and West Long Beach. They do a lot of work in downtown, Alamitos Beach, Willmore, Washington, the East Village and the Waterfront, not to mention all the suburbs and outer communities as well.